ï»¿ Fall 2012 National Immigrant Solidarity Network Monthly News Alert! Fall 2012 National Immigrant Solidarity Network Monthly News Alert! 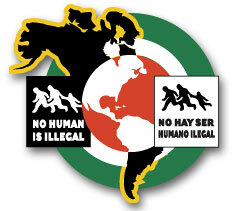 Fall 2012 National Immigrant Solidarity Network Monthly News Digest and News Alert! Every Donation Counts! Please Support Us! The Election Over! Where’s Our Change? Our Demands to the President Obama at the Second Term! 9) Updates, Please Support NISN! Subscribe the Newsletter! Two big things happened in the last week, and they're both going to require our attention for the next four years and beyond: the national election repudiated religious conservatives and handed Obama a second term, and Hurricane Sandy destroyed many thousands of lives. Our allies in New Orleans and Haiti taught us the aftermath of a disaster like Sandy will last a long, long time and have far-reaching impact on things like public housing, privatization of government, and civil and human rights. We need to look ahead to hold the government accountable to a people's recovery that meets people's needs and is driven by a people's agenda guided by the principles of human rights. We know that we cannot rely on politicians or even the courts: only people can make meaningful change. This is a critical time for all of us to act to change the course of history and build a unified vision for a society guided by human rights. Hope only gets you so far. Let's get to work. “Americans have voted for a more inclusive country. Politicians on both sides of the aisle should finally realize that they can no longer scapegoat Latinos, immigrants, and other voters of color to score cheap political points among the xenophobic segments of our community without paying a price at the ballot box. President Obama, like Harry Reid two years ago, shrewdly recognized that his opponent’s harsh self-deportation policies about aspiring American citizens would only serve to drive Latinos and Asian Americans to vote against extremism. “As a result, the mandate for President Obama, along with the newly elected members of Congress, should be clear: voters want an immigration system that treats aspiring citizens with dignity, and provides a roadmap for those living and working here to integrate fully into society. - Immigration reform. Though President Obama has reiterated his support for immigration reform to Univision and the Des Moines Register, precious little has been said about how he would achieve such reform. Immigrant families have suffered under record breaking deportations; we must not allow these detention and deportation systems to continue to destroy immigrant communities simply because both parties cannot agree on how best to create a roadmap to citizenship for the men and women who are American in their hearts, if not by their papers. - Immigrant access to health care. The Obama administration should continue to implement the Affordable Care Act (ACA) in as robust a fashion as possible, and any effort to reform our broken immigration system must protect access to existing affordable care options for newly authorized immigrants. This includes repealing an ill-advised rule excluding young immigrants granted a reprieve from deportation under Deferred Action for Childhood Arrivals. - Preventing family separation. Immigration and Customs Enforcement agents should finally begin adhering to the memos issued by the administration that outline when an individual should be allowed to return to his or her family rather than undergo deportation proceedings. Currently, many individuals who should not be deported under the guidance are banished from the United States, often leaving loved ones and children behind. - Promoting economic justice for all workers and their families. Working immigrant families have the most to lose under sequestration budget negotiations that will take place in the coming months. President Obama and Congress must protect critical safety-net programs, including the Child Tax Credit and Supplemental Nutrition Assistance Program (food stamps), which help lift millions of families out of poverty each year. - Promoting a level playing field for all workers. Ensure that abusive employers don’t use immigration status to thwart labor rights or to gain competitive advantage over workers by vigorously enforcing the agreement between the Department of Labor and Department of Homeland Security to ensure that workplace immigrant apprehension and detention doesn’t undermine labor standards enforcement. Immigrants and their supporters are participating in marches all over the country to protest proposed national legislation and to seek justice for immigrants. The materials available here provide important information about the rights and risks involved for anyone who is planning to participate in the ongoing marches. If government agents question you, it is important to understand your rights. You should be careful in the way you speak when approached by the police, FBI, or INS. If you give answers, they can be used against you in a criminal, immigration, or civil case. The ACLU's publications below provide effective and useful guidance in several languages for many situations. The brochures apprise you of your legal rights, recommend how to preserve those rights, and provide guidance on how to interact with officials. Please Subscribe to the US Immigration Alert Newsletter! Please Join Our Mailing Lists! US-Mexico Border Information: No Militarization of Borders! Support Immigrant Rights! Immigrant Deportation and Detention Alert! Please Donate to National Immigrant Solidarity Network!